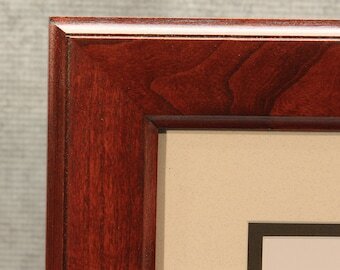 This stylish cherry diploma frame, made especially for Canisius College diplomas, is a frame to be proud of. 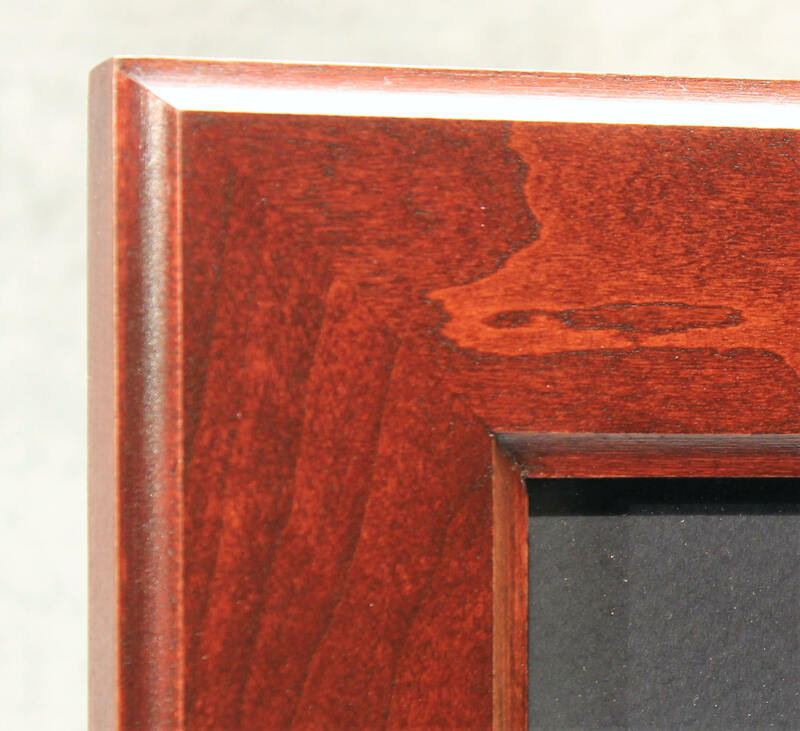 It has a traditional look that speaks volumes with its natural wood grain and warmth. Stand out from typical offices outfitted with mass produced frames. This is truly the only frame exactly like this in the world. Mother nature see to that. 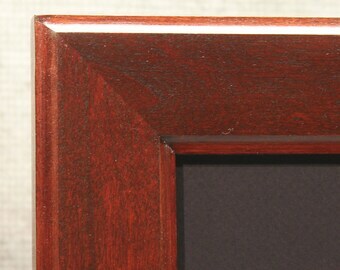 Each of my handmade frames starts with a piece of raw lumber in my shop. I mill, route,sand and finish each one through a series of 10 individual steps. Only the frames that pass every expectation make it to the selling phase. I glue and v-nail every frame together to ensure you don't face split corners a year or so down the road. Rails: 1 1/3" wide and nearly and inch thick at 7/8"
Finish: 2 coats of antique cherry, 4 coats of a urethane satin finish. Cost: $149.95 (NYS Tax applied for residents of NY) - I also except Bitcoin or Ethereum at a discounted price (5% off with Ethereum and 10% off with Bitcoin). Contact me if you are interested in using either of these cyrpto-currencies. Contact me for details.